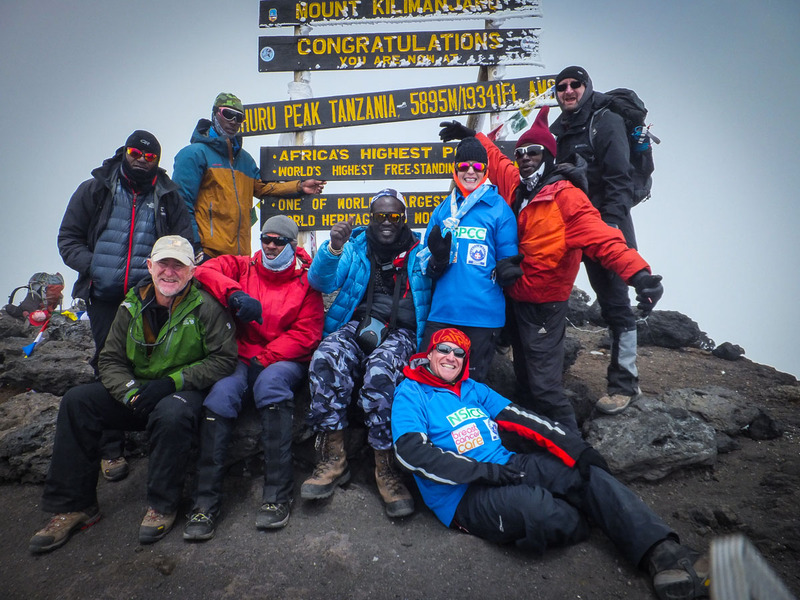 In February Andrew Cartwright and Andrea Tew of Church Wilne Rotary undertook a charity climb of Mount Kilimanjaro in aid of Derby Mountain Rescue team, Breast Cancer Care and NSPCC. Andrea and I started our ascent on Monday 18th February via the Londorossi Gate at 7’380ft. We gradually ascended via the Shira Plateau, picking up the North Summit Circuit ascending to 13’800ft at the Moir camp before descending to 12’960ft to help with our acclimatisation. 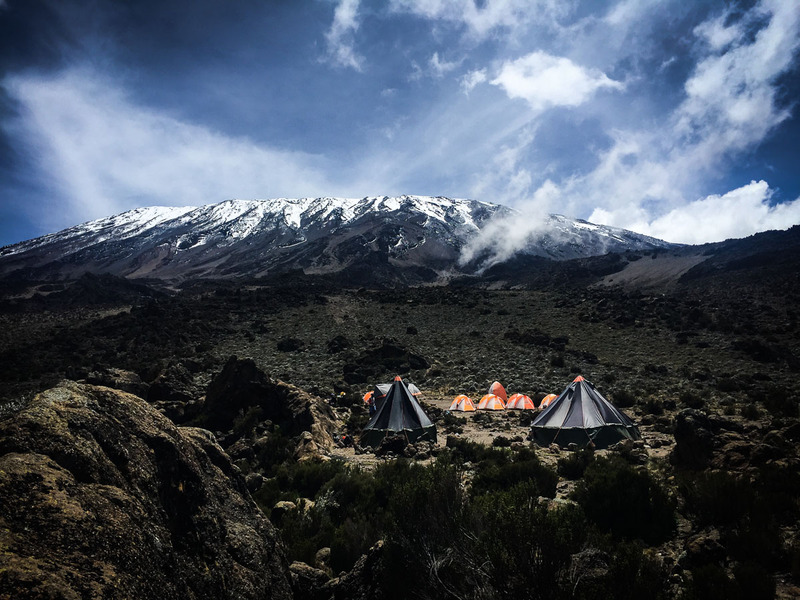 From Moir camp, we ascended back up to Kibo base camp at 15’585ft to prepare for the push to the summit. This leg of the expedition took us five days with a typical day starting with a wake-up call at 05:15 with time to pack up the tents and have breakfast before setting out on the days trek at 07:00. The weather was in our favour staying dry. Saturday 23rd February was summit day. The weather turned during the night with heavy rain and wind which lead to snow on the slope and higher levels. The day started with our wake up call at 02:30, after breakfast and preparation we were ready to start walking at 04:00. Ascending from Kibo camp we climbed continuously to 3’013ft, Gilman's point at 18’598ft, our guides set a good steady pace to help with the altitude, this leg took us five hours. From Gilman's point, we worked our way around the crater rim, at times on a knife edge, passing through Stella point before reaching our goal at 19’343ft Uhuru peak, the worlds largest free-standing mountain, at 11:00. While the ascent was a challenge both mentally and physically it was nothing compared to the decent. From 19’343ft to Barafu camp at 15’220ft down a volcanic ash slope in three hours. This was the most challenging section of the trek, with our legs burning and the snow starting to fall again, concentration was immense with muscles burning. Over the next two days, we continued our descent to the Mweka Gate at 5’346ft. The descent continued to be a challenge with the night rain causing the tracks to be slippy and requiring full concentration throughout the days. Unlike the ascent, the descent routes were far busier as a shorter route, more common for ascents, there were a number of groups on the tracks. We arrived at Mweka Gate on Monday 25th February, eight days after setting off. 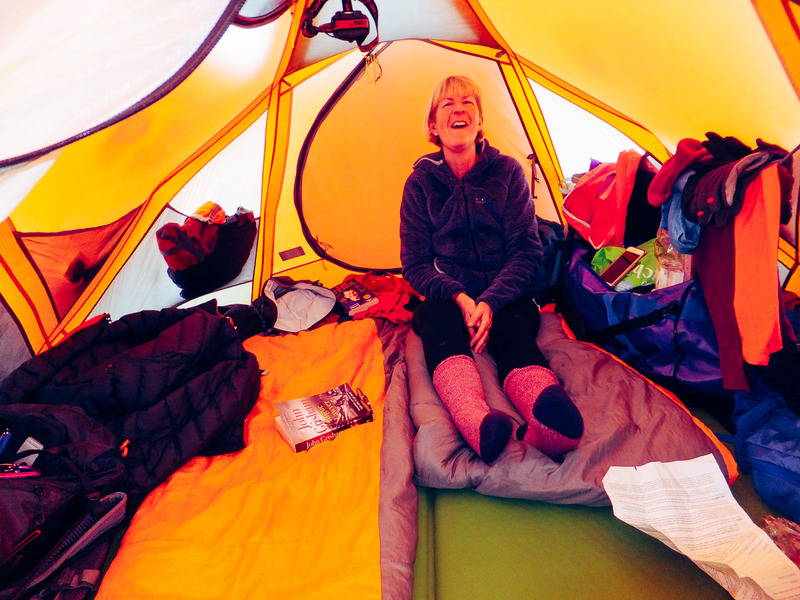 The other big challenge on the trek was managing with the confined space of the tent, with the two of us and eight days worth of trekking clothing and equipment. By the end of the trek, we had mastered life in a tent. We were exceptionally well looked after by our guides and the team of Porters who carried the camp equipment, food and supplies to keep us going. They kept us very well fed to keep our strength and stamina up. Editorial note: You can still sponsor Andrew and Andrea here.